Have a design or sketch you want to make a reality? This course was made for you! 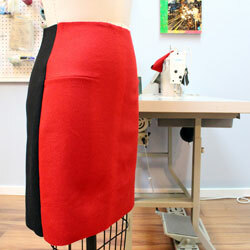 Work your way through a design of your choice from fabric consulting, pattern drafting to complete garment construction. Fabric analysis- choose fabric that best fits your design. 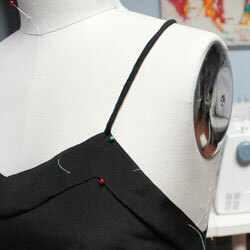 Draping or flat pattern drafting. Depending on your design. Pinning, cutting, marking and appropriate pressing techniques. There are no set dates and times for this course. Students need to book above required hours in the studio. Please note hours for this course will vary depending on student design. Kindly consult with studio at time of booking. Hourly instructional rates found HERE.